Italy, is one of the best location for your special events. Its natural beauty, historic charm, stunning landscape and fascinating venues, combined with the renovated highest quality of services and suppliers is the perfect setting for any occasion. Haven’t you ever dreamed of an engagement on a gondola in Venice or in a sea-view garden in Ravello; and why not organizing a wedding proposal in an old Masseria under secular olive trees in Puglia, or on a private sandy beach in Positano? You, your beloved and a stunning sea view, where you can say the “Yes” that will last a lifetime. That’s your elopement in Amalfi Coast, a romantic escape into paradise that could be a civil, protestant or civil wedding ceremony. More intimate, less expenses, more exclusive details, less stress. 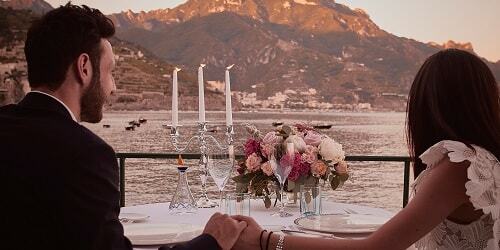 All good reason to elope in Italy with our special offers. 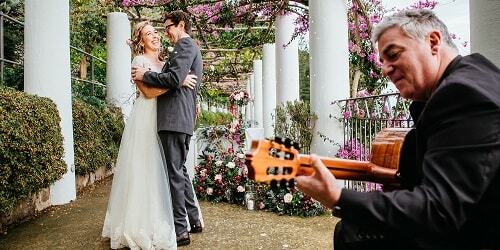 A renewal of vows or re-affirmation ceremony, is another perfect and beautiful way to deepen your love to one another. 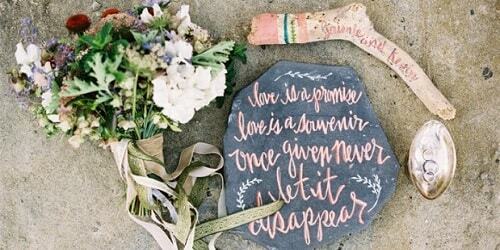 A ceremony similar to a symbolic wedding, but personalized to the couple’s wishes and beliefs. The two of you. Alone in one another's arms. Sharing your love, your emotions, your deepest, most personal thoughts. 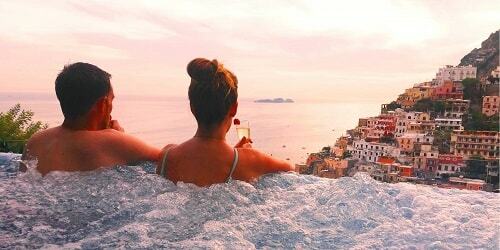 That’s your special Honeymoon in Italy, the trip of a lifetime, unforgettable. We can propose the most romantic honeymoon destination! A renewal of vows or re-affirmation ceremony, is another perfect and beautiful way to deepen your love to one another. A ceremony similar to a symbolic wedding, but personalized to the couple’s wishes and beliefs.Feeling perfect is not enough; you have to be absolutely impeccable for your wed day.